Johnstown, PA: Environmental Tank and Container (ETC), a division of JWF Industries, was named Manufacturer of the Year at the 6th Annual Northeast 2018 Oil and Gas Awards. The Oil and Gas Awards are a platform for the Industry to demonstrate and celebrate the advances made in the key areas of environmental stewardship, efficiency, innovation, corporate social responsibility and health & safety. The Manufacturer of The Year Award recognizes the outstanding contribution that a manufacturer has made to the industry in the region. To be eligible for this category a manufacturer must demonstrate that its products are in use by clients in the region. Written entries were submitted in December and judging was based on such factors as demonstrating an innovative and progressive culture geared toward improving and inventing new products, solid health and safety records, and a clear commitment to corporate social responsibility and community leadership. ETC’s entry focused on a new, patent-pending Vertical Storage Tank that the company is manufacturing and marketing throughout the country. This elliptical-shape tank is the next generation Frac Tank that has been designed to minimize transportation costs while also doubling the tank’s capacity. Another new, patentable product on an oval above ground storage tank is also being pursued. “These two products are examples of the ingenuity and creativity of the entire staff at ETC who continually find innovative ways to support our customers’ needs while lowering costs,” said ETC and JWF President and CEO Bill Polacek. 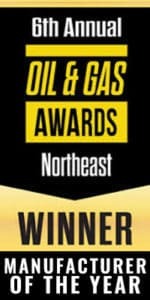 ETC/JWF is the first company in the region to win one of the Northeast Oil and Gas Awards. “This award represents the continuing change taking place in the greater Johnstown area. More importantly, it is a testament to the hard work of our employees at ETC and throughout JWF Industries. I couldn’t be more proud of what they have accomplished. The oil and gas industry is very volatile but our employees continue to find ways to grow and diversify our company. This adds one more reason why Johnstown and JWF Industries have the highest caliber workforce in the county! That’s why our Passion Statement at JWF continues to say that ‘we will find out what our customers need, and then grow and change to meet those needs,’” continued Polacek. Winners were announced on March 1, 2018 at a gala dinner in Pittsburgh. 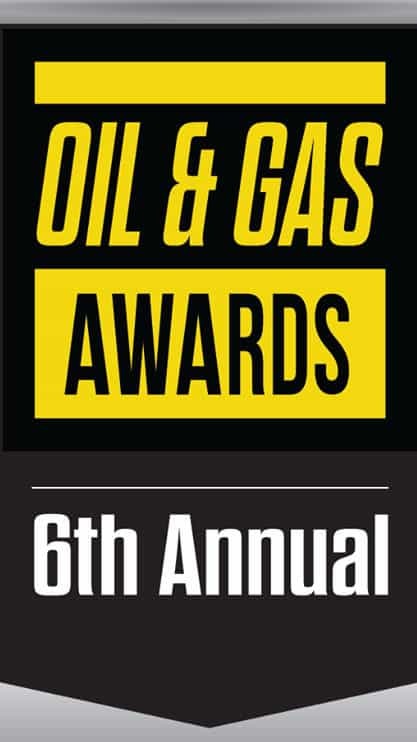 Additional information can be found at www.oilandgasawards.com . Previous winners included Infinity Tool of Benton, IL, a manufacturer of drilling consumables and drilling accessories, Command Energy of New Caney, TX, a supplier of drill pipe and drill stem accessories, and Worthington Industries of Columbus, OH, a diversified metals manufacturing company. ETC has grown to become one of the biggest names in fluid storage and oilfield equipment in the oil and gas industry. ETC develops and manufactures a variety of products including ASME certified pressure vessels and a line of ETC-branded equipment for the upstream and midstream markets such as Vertical Storage Tanks or Legal Load Tanks, ASTs, Flowback Tanks, Frac Tanks, Mud Tanks, Open Top Tanks, Bullet Tanks, along with a variety of custom build tanks. Additional information can be found at www.etctank.com.